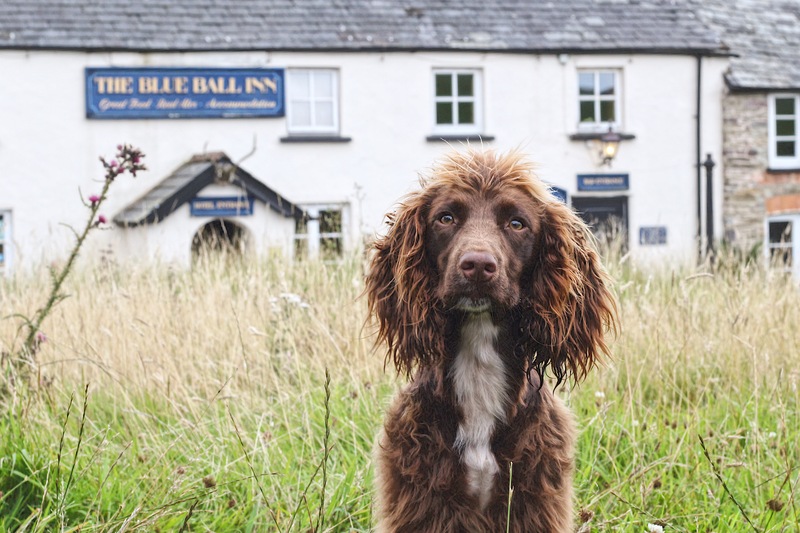 Last week we packed our bags and headed to Devon for an overnight stay at The Blue Ball Inn, located in the beautiful national park of Exmoor. 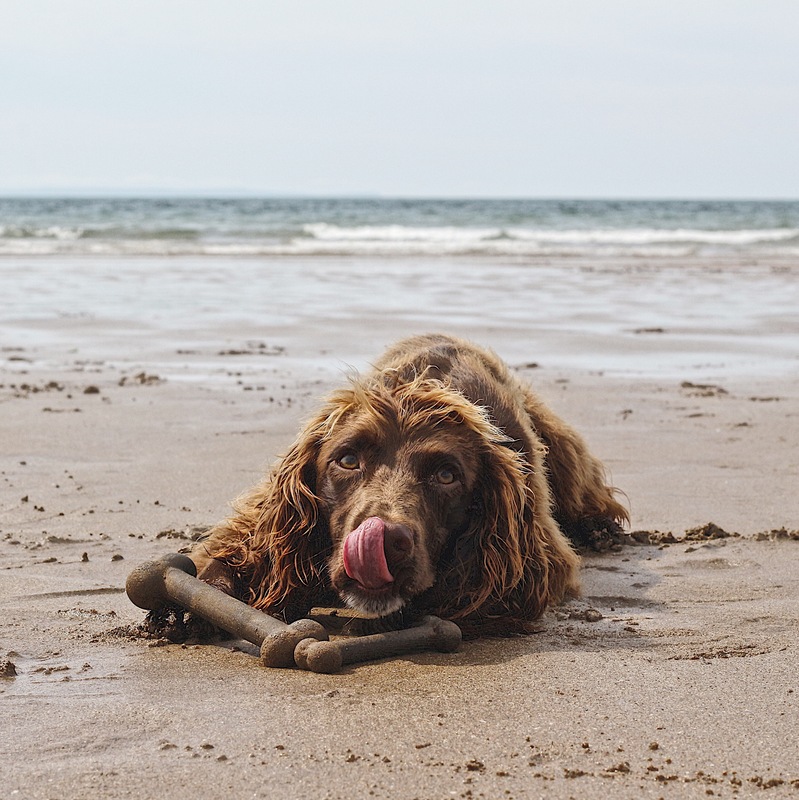 I won’t go into much depth about the Inn, but I do want to emphasise the fact that they are very dog friendly! Their own dogs wander around the pub and have their own bed in the corner. You and your dog will feel very welcome. We couldn’t go into our room until 3pm, and being a few hours early it gave us the perfect opportunity to explore! 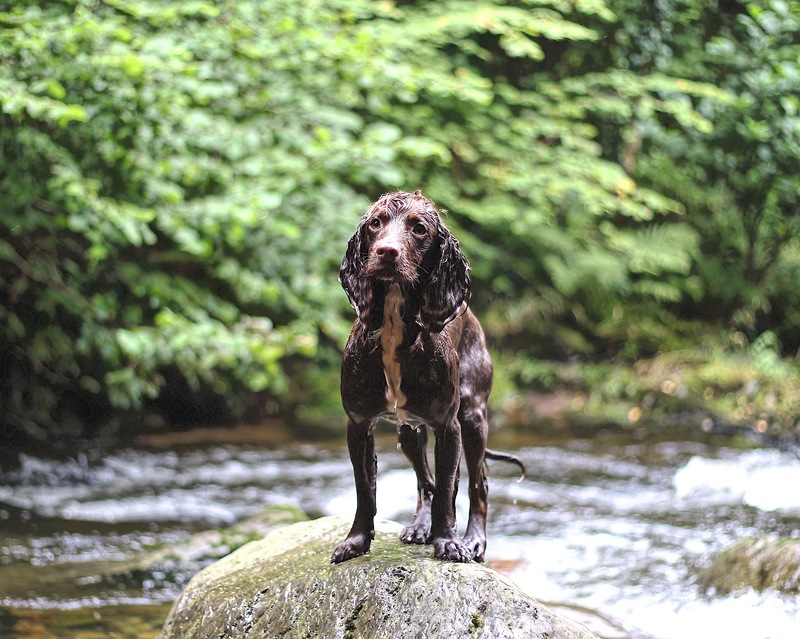 After a quick drink we set off on our first adventure to ‘Watersmeet’. The walk began right beside the pub, it was amazing to just step out into a valley of large hills, the sights were breathtaking. 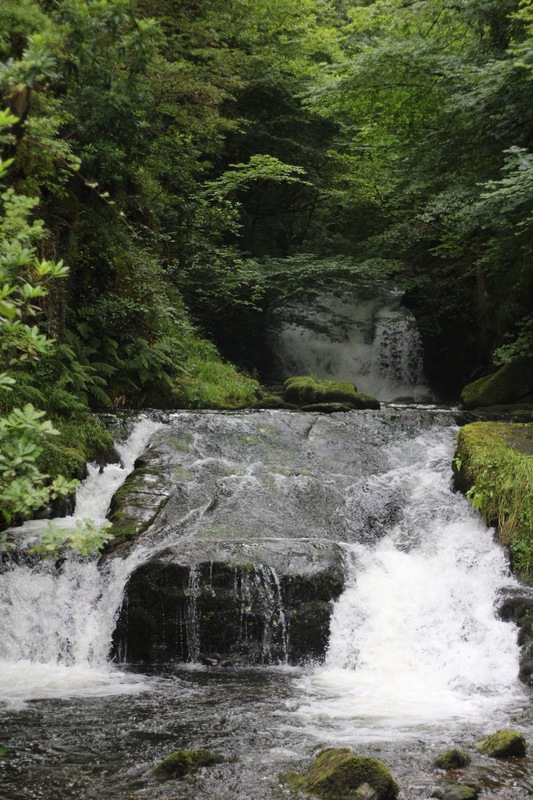 After strolling through the valley for a while we came across the river that takes you to Watersmeet and continued the path alongside it. 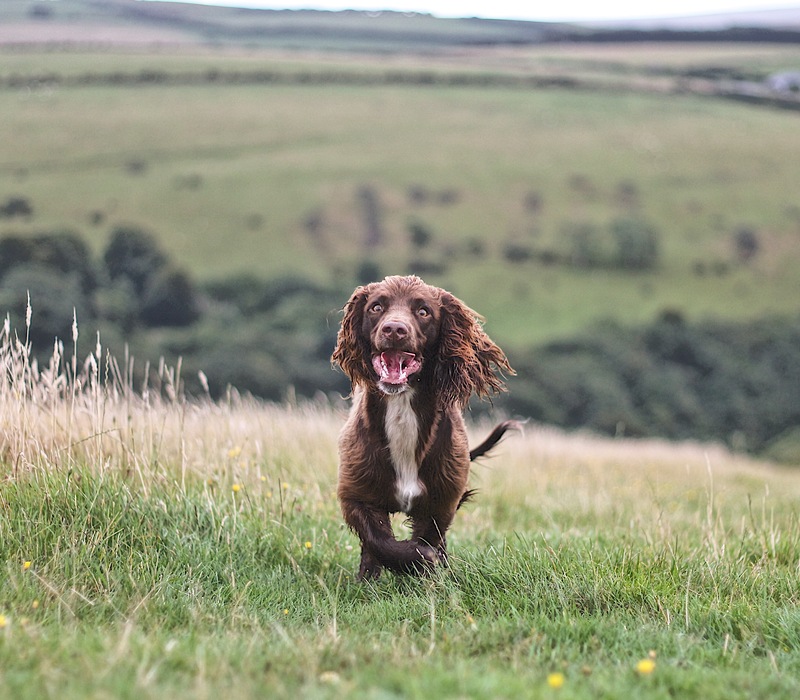 Maximus, of course, ran eagerly towards the water and was very happy to be a soggy Spaniel again. 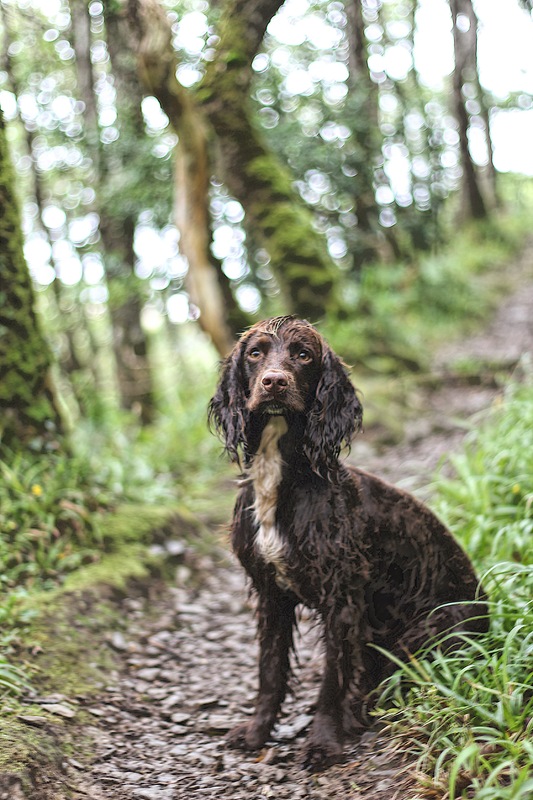 We followed the path to Watersmeet where a little cafe was nicely placed next to the two rivers (hence why it’s called ‘Watersmeet’!). We just had to stop there for a coffee! Whilst pleasantly sipping on our drinks, we enjoyed the stunning views that surrounded us, it was very idilic. Feeling refreshed, we crossed a bridge next to the cafe that was followed by another bridge where a waterfall proudly cascaded down its rocky path. When we reached the top we were, once again, blown away by the view. 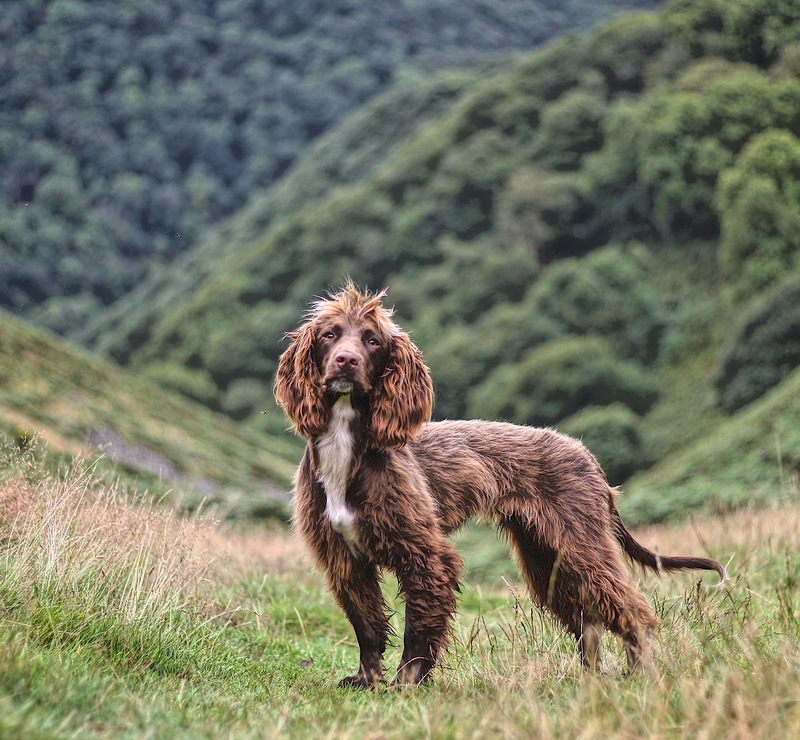 We were rather tired after that challenging climb, Maximus on the other hand was still charging around ready for more! We then made our way back to the Inn, ready for some food after building up our appetites nicely. The walk took about 4 hours but that did include a few photo stops! We checked into our room, got ourselves sorted and headed down for dinner. The next morning, after a delicious full English breakfast, we decided that we would find a beach. We asked the Inn proprietor if he knew any good beaches, he was very helpful and directed us to Puttsborough. With hopeful expectations, we certainly weren’t disappointed. 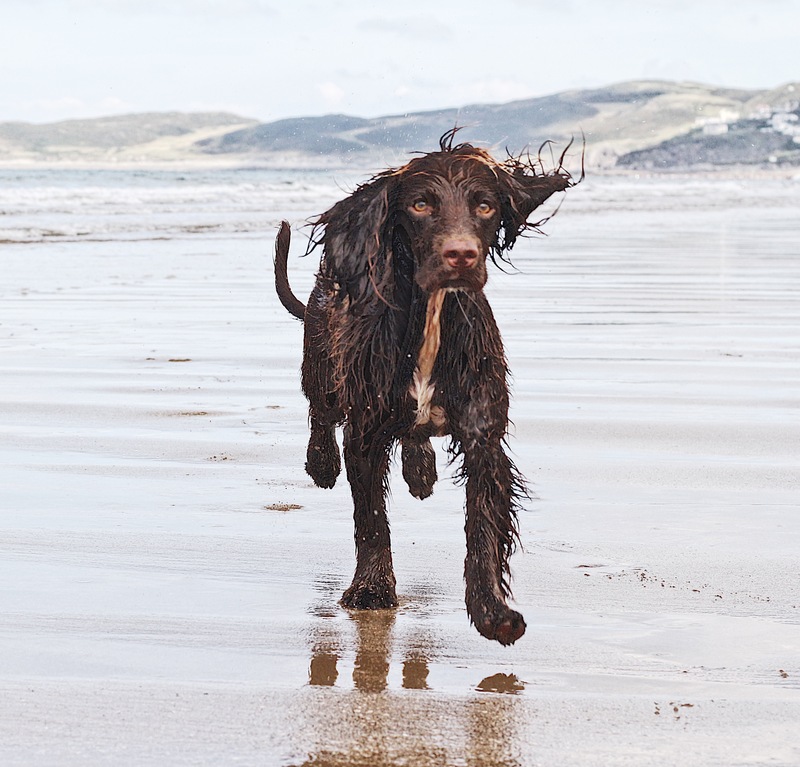 Maximus was very excited when he realised we were having a beach day, he charged towards the coast, all eyes on the sea. Maximus loved jumping over the waves and then catching them back to the shore. When he wasn’t in the water, he was digging beside it and was always so confused why his masterpiece was filling up with water! 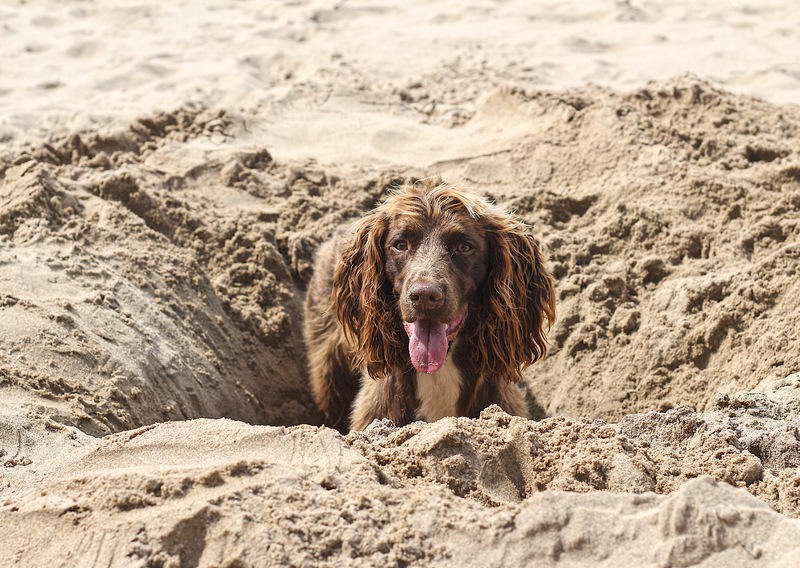 When we stopped for some lunch my sister and I joined him and dug a hole big enough that he fitted in it! For Maximus’ lunch, he tucked into a Guru Pet Food Trip Bone. Yum! 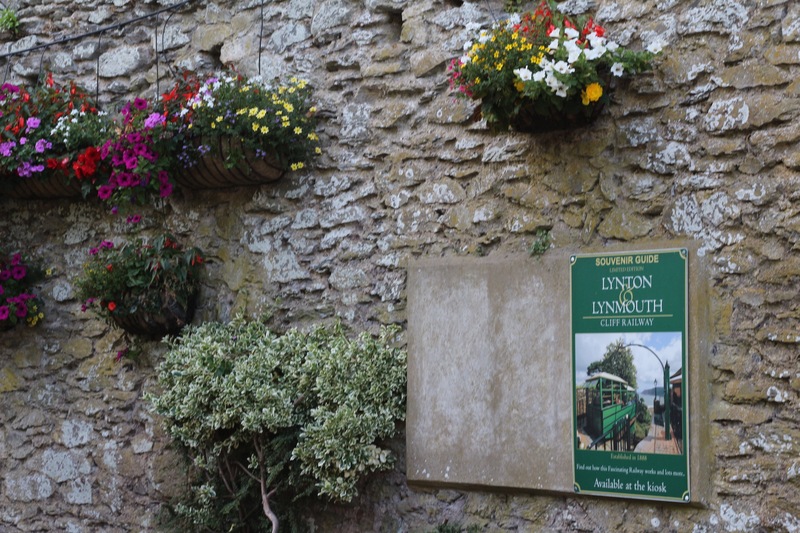 After many hours spent at the beach, we then went to the lovely seaside town: Lynmouth. 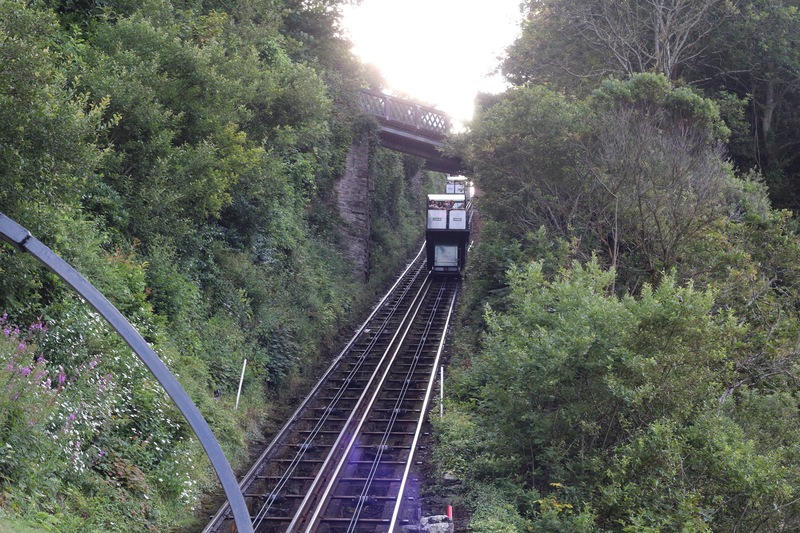 We already knew we wanted to go on the Cliff Railway, which your furry friends are allowed to ride on too! Oscar was his typical laid back self and Max was just wondering what on earth was going on! To end the already perfect day, we had some fish and chips for dinner which truly were the best I’ve ever had! Satisfied, we said our goodbyes to the coast and took off on our 3 hour journey home. Overall, we had a lovely couple of days in Devon and are looking forward to going back for more adventures in October! Looks like a lovely adventure. Gorgeous photos and what beautiful places! Always wanted to go on that Railway!